UCLA astronomers report the discovery of a remarkable star that orbits the enormous black hole at the center of our Milky Way galaxy in a blistering 11-and-a-half years — the shortest known orbit of any star near this black hole. 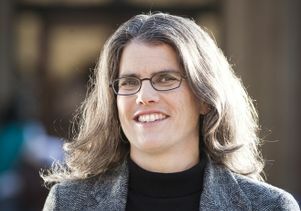 The star, known as S0-102, may help astronomers discover whether Albert Einstein was right in his fundamental prediction of how black holes warp space and time, said research co-author Andrea Ghez, leader of the discovery team and a UCLA professor of physics and astronomy who holds the Lauren B. Leichtman and Arthur E. Levine Chair in Astrophysics. The research is published Oct. 5 in the journal Science. Before this discovery, astronomers knew of only one star with a very short orbit near the black hole: S0-2, which Ghez used to call her "favorite star" and whose orbit is 16 years. (The "S" is for Sagittarius, the constellation containing the galactic center and the black hole). "I'm extremely pleased to find two stars that orbit our galaxy's supermassive black hole in much less than a human lifetime," said Ghez, who studies 3,000 stars that orbit the black hole, and has been studying S0-2 since 1995. Most of the stars have orbits of 60 years or longer, she said. "It is the tango of S0-102 and S0-2 that will reveal the true geometry of space and time near a black hole for the first time," Ghez said. "This measurement cannot be done with one star alone." Black holes, which form out of the collapse of matter, have such high density that nothing can escape their gravitational pull, not even light. They cannot be seen directly, but their influence on nearby stars is visible and provides a signature, said Ghez, a 2008 MacArthur Fellow. Einstein's theory of general relativity predicts that mass distorts space and time and therefore not only slows down the flow of time but also stretches or shrinks distances. "Today, Einstein is in every iPhone, because the GPS system would not work without his theory," said Leo Meyer, a researcher in Ghez's team and lead author of the study. "What we want to find out is, would your phone also work so close to a black hole? The newly discovered star puts us in a position to answer that question in the future." "The fact that we can find stars that are so close to the black hole is phenomenal," said Ghez, who also directs the UCLA Galactic Center Group. "Now it's a whole new ballgame, in terms of the kinds of experiments we can do to understand how black holes grow over time, the role supermassive black holes play in the center of galaxies, and whether Einstein's theory of general relativity is valid near a black hole, where this theory has never been tested before. It's exciting to now have a means to open up this window. "This should not be a neighborhood where stars feel particularly welcome," she added. "But surprisingly, it seems that black holes are not as hostile to stars as was previously speculated." Over the past 17 years, Ghez and colleagues have used the W.M. 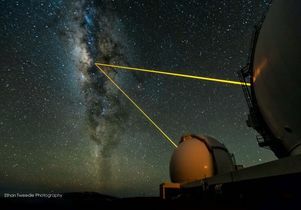 Keck Observatory, which sits atop Hawaii's dormant Mauna Kea volcano, to image the galactic center at the highest angular resolution possible. They use a powerful technology, which Ghez helped to pioneer, called adaptive optics to correct the distorting effects of the Earth's atmosphere in real time. With adaptive optics at the Keck Observatory, Ghez and her colleagues have revealed many surprises about the environments surrounding supermassive black holes, discovering, for example, young stars where none were expected and seeing a lack of old stars where many were anticipated. "The Keck Observatory has been the leader in adaptive optics for more than a decade and has enabled us to achieve tremendous progress in correcting the distorting effects of the Earth's atmosphere with high–angular resolution imaging," Ghez said. "It's really exciting to have access to the world's largest and best telescope. It is why I came to UCLA and why I stay at UCLA." In the same way that planets orbit around the sun, S0-102 and S0-2 are each in an elliptical orbit around the galaxy's central black hole. The planetary motion in our solar system was the ultimate test for Newton's gravitational theory 300 years ago; the motion of S0-102 and S0-2, Ghez said, will be the ultimate test for Einstein's theory of general relativity, which describes gravity as a consequence of the curvature of space and time. "The exciting thing about seeing stars go through their complete orbit is not only that you can prove that a black hole exists but you have the first opportunity to test fundamental physics using the motions of these stars," Ghez said. "Showing that it goes around in an ellipse provides the mass of the supermassive black hole, but if we can improve the precision of the measurements, we can see deviations from a perfect ellipse — which is the signature of general relativity." As the stars come to their closest approach, their motion will be affected by the curvature of spacetime, and the light traveling from the stars to us will be distorted, Ghez said. S0-2, which is 15 times brighter than S0-102, will go through its closest approach to the black hole in 2018. The deviation from a perfect ellipse is very small and requires extremely precise measurements. Over the last 15 years, Ghez and her colleagues have dramatically improved their ability to make these measurements. 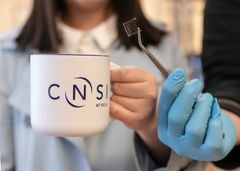 Co-authors on the research include Mark Morris, a professor of physics and astronomy at UCLA, and Eric Becklin, UCLA professor emeritus of physics and astronomy. In 1998, Ghez answered one of astronomy's most important questions, showing that a monstrous black hole resides at the center of our Milky Way galaxy, some 26,000 light-years away from Earth, with a mass approximately 4 million times that of the sun. The question had been a subject of raging debate among astronomers for more than a quarter of a century. In 2000, she and colleagues reported that for the first time, astronomers had seen stars accelerate around the supermassive black hole. Their research demonstrated that three stars had accelerated by more than 250,000 mph a year as they orbited the black hole. The speed of S0-102 and S0-2 should also accelerate by more than 250,000 mph at their closest approach, Ghez said. In 2003, Ghez reported that the case for the Milky Way's black hole had been strengthened substantially and that all of the proposed alternatives could be excluded. 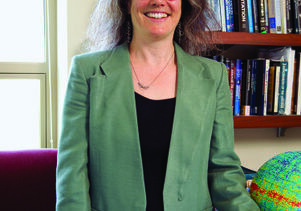 In 2005, she and her colleagues took the first clear picture of the center of the Milky Way, including the area surrounding the black hole, using laser guide star adaptive optics technology at the Keck Observatory. 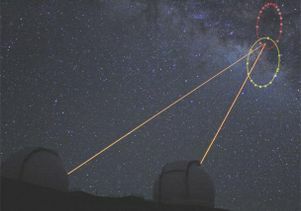 "The pivotal research by Ghez's UCLA group using the Keck Observatory has evolved from proving that a supermassive black hole exists in the center of our galaxy to testing the very fundamentals of physics," said Taft Armandroff, director of the W.M. Keck Observatory. "This is truly an exciting time in astronomy." 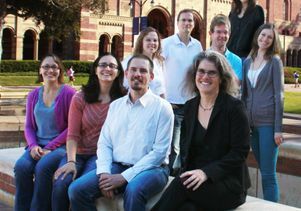 Ghez's research program currently receives its primary funding from the National Science Foundation, the Keck Foundation, the MacArthur Foundation, and the Lauren B. Leichtman and Arthur E. Levine Family Foundation, with additional funding from the Preston Family Endowed Graduate Fellowship in Astrophysics (supported by Howard and Astrid Preston), the Janet Marott Student Travel Awards, and the Gordon Binder Post-doctoral Fellowship. 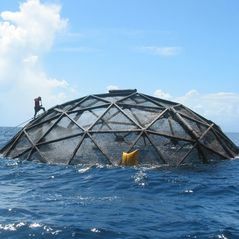 Significant funding was also provided by the Packard Foundation for early stages of this work. Ghez is the first woman to receive the prestigious Crafoord Prize from the Royal Swedish Academy of Sciences, which she was awarded this May. UCLA is California's largest university, with an enrollment of more than 40,000 undergraduate and graduate students. The UCLA College of Letters and Science and the university's 11 professional schools feature renowned faculty and offer 337 degree programs and majors. UCLA is a national and international leader in the breadth and quality of its academic, research, health care, cultural, continuing education and athletic programs. Six alumni and five faculty have been awarded the Nobel Prize.